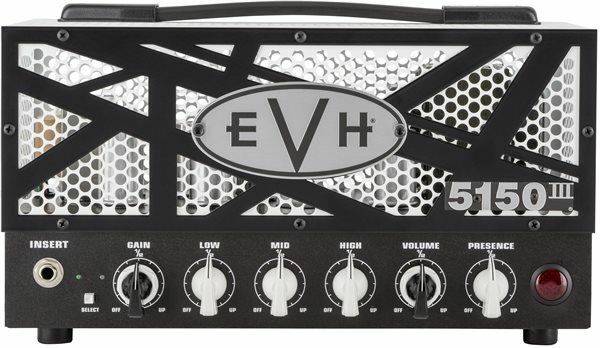 The EVH 5150 III 50-Watt Head is a scaled-down version of its acclaimed 100-watt big brother—the mighty 5150 III head—with many of the same great features. Its smaller size and portability make it a perfect amp for players who want arena volume, tone and performance in a compact package. It pairs perfectly with the new EVH 5150 III 2x12 and 1x12 cabs, in addition to the current EVH 5150 III 4x12 cabinet. It’s a three-channel amp; channels one and two share EQ, with gain, low, mid, high and volume controls; channel three has gain, low, mid, high, volume and master presence and resonance controls. Other features include selectable impedance (4, 8 or 16 ohms), dual parallel speaker output jacks, effects loop, headphone jack, line out and black hardware. Included four-button footswitch has 1/4” input jack; also accommodates MIDI footswitching. Versatile, toneful, and powerful enough for Edward Van Halen. 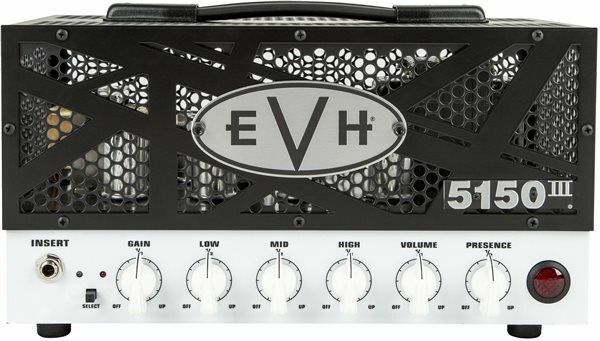 The professional EVH 5150 III all-tube amp head that was developed to meet the exacting specifications of Edward Van Halen, one of the true living legends of rock guitar. The 5150III™ amp head's flexible feature set allows creation of tones from clean to crunch to full-out distortion, inspiring limitless artistic expression. Truly roadworthy, EVH® amp heads feature no-compromise construction promising peak performance for years to come. Available in black or ivory. A mighty sonic force to be reckoned with, the EVH 5150III® 15W LBX is an easy-to-carry “lunchbox” guitar amp head–but don’t let its diminutive size fool you; it’s packed to the gills with searing tone! Armed with five ECC83S (12AX7) and two EL84 tubes for incredible high gain sound, it performs like an arena-filling champ. Two flexible channels, the famous EVH Blue “Crunch” and Red “Full Burn,” combine with the familiar low/mid/high/presence tone controls and 1/4–power switch so you can easily dial-in your own roaring Variac-less “brown” sound. Dial up a tasty crunch for rhythm work and then when it’s time for a face-melting solo, stomp on the included footswitch to call up an intense lead tone with tons of singing sustain. 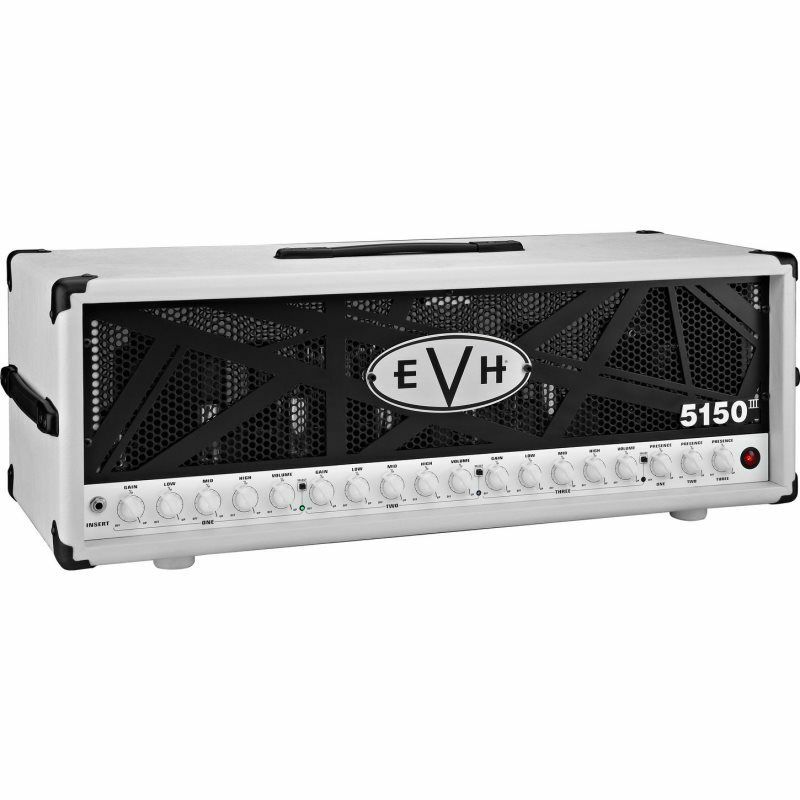 For colossal tone and serious crunch in a compact package, look no further than the EVH 5150III® 15W LBX!